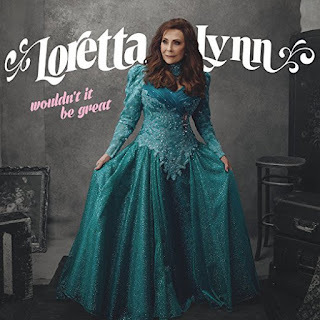 Country superstar Loretta Lynn has postponed the release of a new album and scrapped all her remaining shows for 2017 as she continues to recover from a stroke. The Coal Miner's Daughter singer, 85, suffered the health scare in May and subsequently checked into a rehabilitation facility to continue receiving treatment. Representatives for the veteran revealed on Wednesday (July 12) she has since returned to her home in Tennessee, where she will be recuperating for the rest of the year. As a result, Lynn has pulled out of her remaining concert commitments, after cancelling a number of dates for the summer in June, and she has also chosen to push back the planned August launch for her new album, Wouldn't It Be Great. "My main focus now is making a full recovery so that I can get back to putting all of me into what I love, sharing my music with all of you," she says in a statement posted online. "I now want to wait to release (Wouldn't It Be Great) next year because this record is so special for me. It deserves me at my best and I can't wait to share it." Expressing her gratitude for the outpouring of support from her fans, she continues, "I want to thank everyone for hanging in there with me. I am getting stronger every day and can't wait to get back out there with all of you. I'm just letting everybody know that Willie (Nelson) ain't dead yet (sic) and neither am I, and I can't wait to see all of you on the road!" The news emerges two weeks after Lynn's brother, Herman Webb, assured fans the star was on the mend, despite being left partly paralysed by the stroke. "She can talk, and Loretta told me that she thought she's going to be OK," he told Closer magazine. "She seems to be coming along pretty good (sic). Her left side was kind of paralysed, but (she can get around by) herself now, she just has to use a walker. She's doing really good - that's the main thing!"